Silverstorm Bengals shares its beautiful home in Snowdonia National park with The Welsh Mountain zoo high above Conway Bay. 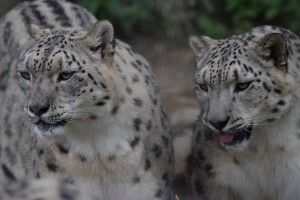 The zoo is home to a very beautiful and important breeding pair of Snow Leopards. The zoo is currently holding a crowdfund raising campaign to raise £200,000 for a wonderful new enclosure for their snow leopards. “The Silk Road Project aims to build state of the art accommodation for one of the world’s most vulnerable big cat species, while also forging connections with the world’s most important growth economy – China. By helping to build our new snow leopard enclosure you can be part our most ambitious and important project to date. We want to prepare for the next 50 years. And with your help, we know we can do it. The project will see completely new accommodation for our snow leopards, creating a representation of the mountainous regions in which this endangered species lives. The Silk Road will forge links with China and the Himalayan Mountains exploring the Chinese culture, language, environment and species that originate from there. The new snow leopard home will be designed to offer visitors a nose to nose visual experience through glass, whilst an elevated walkway will journey around the site, offering panoramic views across the Zoo and to the Carneddau Mountains.